In this interview, Saeed tells us why Malaysia’s property market is going to be like Hong Kong’s in the next 5 years, the implications of China’s investments in Malaysia and why the future lies in the Asean region. Watch the full interview to pick up great insights on the global economy and other nuggets of wisdom. Shan Saeed has 16 years of solid financial market experience in the areas of private banking, risk and compliance management, commodity investments, global economy and business strategy. 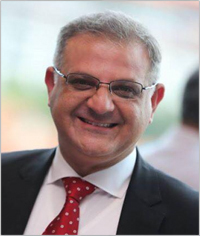 Saeed started his career with Asian Development Bank backed financial institution named National Development Finance Corporation in Karachi, Pakistan for three years. He also worked for Standard Chartered Bank in Pakistan and United Arab Emirates for six and a half years. Later, he commenced his own asset company named Dita Advisory Services with his partners managing $50 million for high valued clients for four odd years. Since 2013, Saeed is engaged to IQI Group Holdings advising corporate clients from Korea, Japan, China, Europe and Middle East.